The stock hit a 52-week high of Rs 58.20, up 6.5 per cent on the BSE in otherwise subdued market. Shares of Allahabad Bank hit a 52-week high of Rs 58.20, up 6.5 per cent on the BSE in an otherwise subdued market, extending its past three weeks' rally after the government announced capital infusion of Rs 6,896 crore in the bank. The Reserve Bank of India (RBI) took Allahabad Bank out of the prompt corrective action (PCA) framework, following an improvement in the financial ratios after a fresh round of capital infusion. In the past one month, the stock of state-owned lender has outpaced the market by surging 41 per cent from level of Rs 41.20. In comparison, the S&P BSE Sensex has remained flat, while Nifty PSU Bank index gained 2 per cent during the same period. Allahabad Bank has used Rs 6,896 crore capital infusion fund, received from the Central government, to make loan loss provision in order to bring down the net non-performing assets (NPA) ratio and also to shore up its capital base. “Out of the capital infusion of Rs 6,896 crore received from Government of India, Rs 2,750 crore has been appropriated to make loan loss provision in order to bring down the net NPA ratio below the threshold under Prompt Corrective Action (PCA) framework and remaining Rs 4,146 crore has been appropriated towards shoring up the capital base so as to enhance the Capital to Risk Weight Asset Ratio (CRAR) of the Bank above regulatory minimum of 10.875 per cent with Tier 1 including CET 1 CRAR above 8.875 per cent i.e. above the threshold under PCA framework of the RBI,” the bank said in a regulatory filing on February 22, 2019. 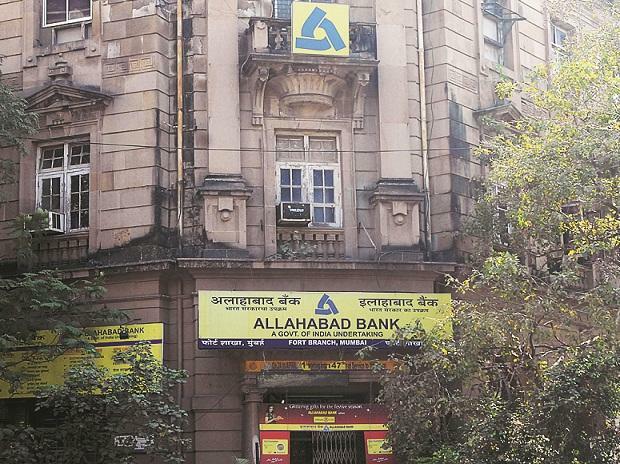 Meanwhile, in order to focus on its core business, Allahabad Bank initiated various steps towards sale of its non-core assets including divestment of stake in its Joint Ventures (JV), associates, selling some of the immovable properties owned by the Bank. Universal Sompo General Insurance Company is one of the JV of the Bank wherein Allahabad Bank holds 28.52 per cent stake. At 12:39 pm, Allahabad Bank was trading 4.6 per cent higher at Rs 57.15 on the BSE. In comparison, the S&P BSE Sensex was down 0.25 per cent at 36,632 levels. A combined 21 million equity shares changed hands on the counter on the NSE and BSE so far.